A massive earthquake measuring 7.9 on the Richter scale has hit Nepal between its capital Kathmandu and the city of Pokhara to the north east. The power of the earthquake has been compared to the equivalent of 20 atomic bombs; tremors were felt as far away as India and Pakistan. Around 9% of Nepal’s population of 27 million is 60 or over and we estimate that 600,000 older people could be affected. Thousands are sleeping in the open – their homes have either been destroyed or they are too scared to return to unstable buildings, particularly while aftershocks continue. Older people are particularly affected by the cold hard floors they now sleep on and there is a shortage of medication for things like stroke and dementia. Nepal is one of the world’s poorest countries and does not have the infrastructure and resources to deal with crisis of this magnitude. The UN estimates that about 40% of Nepali’s live in poverty. The Government in Nepal has put out a desperate plee for help. 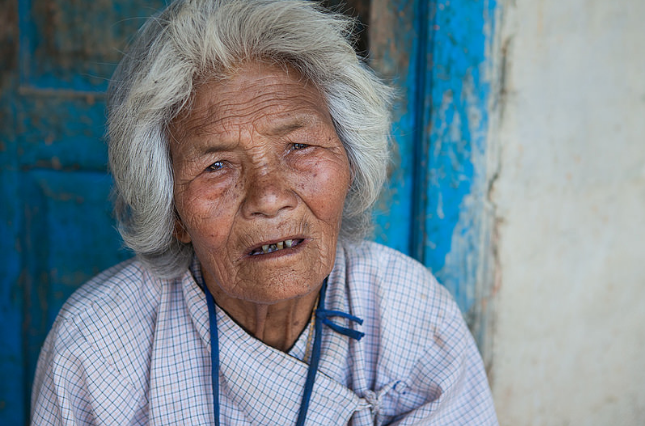 The Age International network already works with Helpage in Nepal and has extensive experience of responding quickly to the needs of older people in the region. We are aiming to deliver essential temporary shelter and healthcare and to replace destroyed possessions, such as blankets, mattresses, clothing and cooking equipment. Despite losing their own homes and fearing for the lives of themselves and their families, our staff are on the ground fighting desperately to help older people. Helpage India has a disaster response model that is equipped to rush in quickly to reach out, not only to older people but also to the wider community. At times of large scale disasters this model provides rapid relief in the form of food, clothing and shelter.